Divine Mercy: 948 Today, during the Passion Service, I saw Jesus being tortured and crowned with thorns and holding a reed in His hand. 948 Today, during the Passion Service, I saw Jesus being tortured and crowned with thorns and holding a reed in His hand. 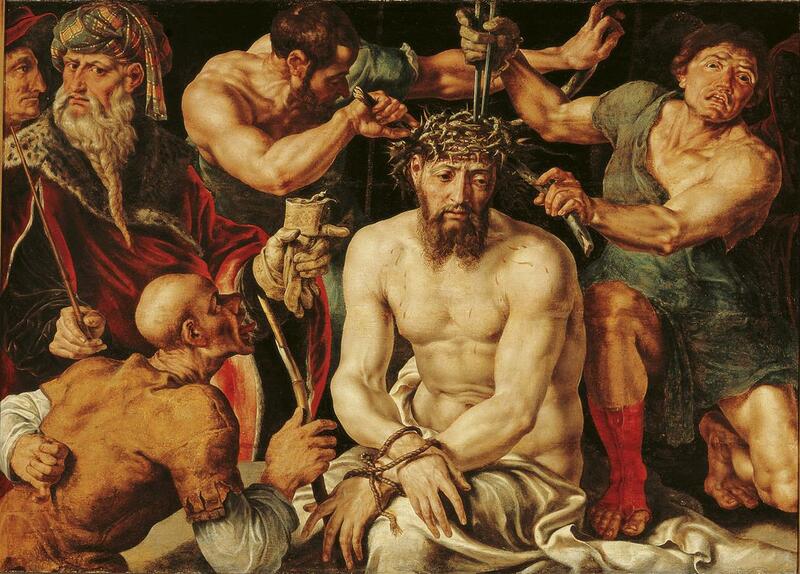 Jesus was silent as the soldiers were bustling about, vying with each other in torturing Him. Jesus said nothing, but just looked at me, and in that gaze I felt His pain, so terrible that we have not the faintest idea of how much He suffered for us before He was crucified. My soul was filled with pain and longing; in my soul, I felt great hatred for sin, and even the smallest infidelity on my part seemed to me like a huge mountain for which I must expiate my mortification and penance. When I see Jesus tormented, my heart is torn to pieces, and I think: what will become of sinners if they do not take advantage of the Passion of Jesus: In His Passion, I see a whole sea of mercy.